A free bible app that allows you to read scripture in various translations and languages, get a daily devotional, get the pastor’s sermon outline on Saturday for Sunday’s message. Henry Blackaby, atuhor of Experiencing God, offers a daily devotional to help you begin your day or end your day by spending time in God’s word and reflecting on the devotional written for that day. 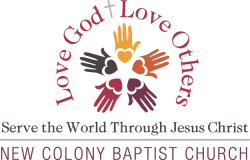 The Baptist Convention of New England website. The Greater Boston Baptist Association website. A website with daily devotionals, bible translations and resources for growing as a Christian. World Gospel Mission. A missionary sending organization. International Mission Board. Over 4,000 missionaries serve around the world through the International Mission Board of Southern Baptists. Missionaries serving with the IMB do not have to raise any funds. Their salaries and ministry expenses are covered by the mission giving of Southern Baptist Churches in the United States. Website where you can purchase Christian resources, bibles, books, and a large selection of resources to help Christians and churches in our nation.